Boasting one of the highest Premiership counts in VFL/AFL history, Collingwood fans are spoilt for choice in recalling their favourite Premiership victories. A string of four consecutive Premierships from 1927-30 impressively still stands as an VFL/AFL record to this date - with the equality of the modern day competition, this record is primed to stand for many decades to come. Who could forget the famous 1990 victory over fierce rivals Essendon, breaking a 32-year Premiership drought and burying their long-standing 'Colliwobbles' mantra. The Pies have a seemingly endless list of memorable Grand Final moments - Official Memorabilia are giving you the chance to relive them all. 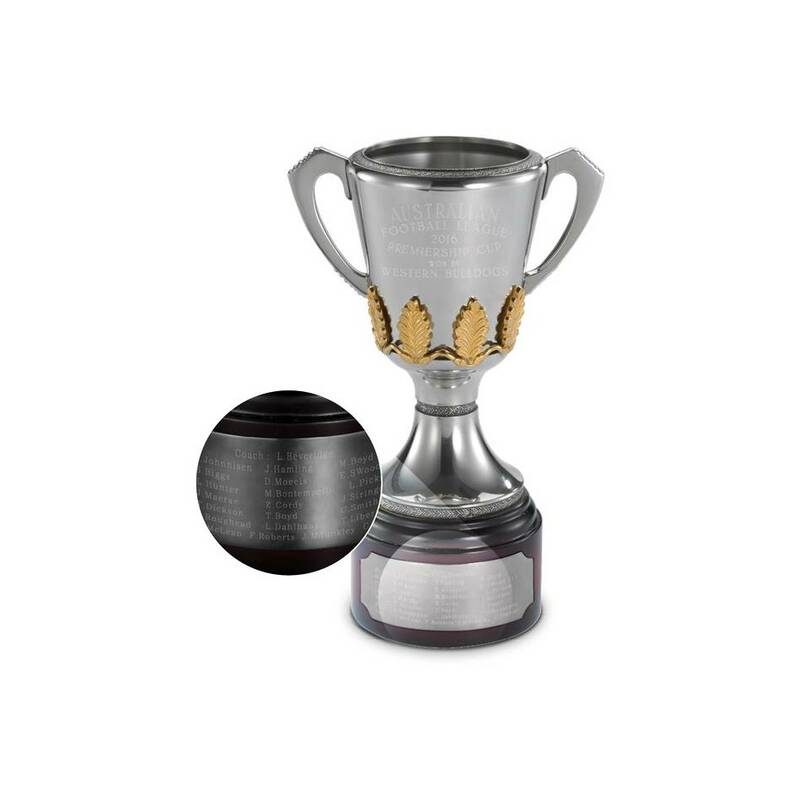 Commemorate Collingwood's Premiership triumphs with a collectable pewter replica of unrivalled heritage and splendour. Each handcrafted Cup is composed predominantly of refined tin, with small proportions of antimony and copper added for strength and durability.